On the 9th of March this year, Barbie will turn 58 years old. Created in 1959, Ruth Handler (who set up Mattel with Elliot Handler in 1945), launched a plastic doll called Barbie. The inspiration came from seeing her daughter play with paper adult dolls instead of baby dolls. Her daughter, Barbara (Barbie), would become the name for one of the most popular toys of the 20th century. In 2014 Mattel saw a slump in Barbie sales by 16%. This was due to competition it was facing from other toys such as Frozen and Monster High. The Frozen dolls, Anna and Elsa come from a successful film and merchandising franchise by Disney. Barbie does not have its own stores and instead sells through retailers such as Toys R Us, Hamley’s and Amazon. So how can a brand that was well known for its off line product make it online? 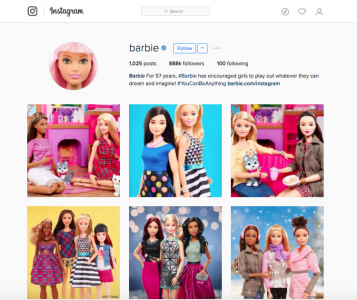 Barbie is on many social media channels and they are very active on these channels too. There is a Twitter page as well as Instagram and Facebook. There are country specific Facebook pages for some countries, for example Spain, UK, US, France and Japan. 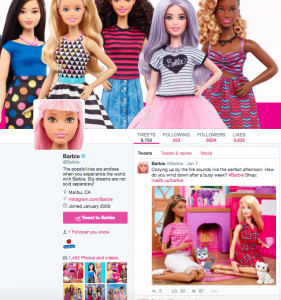 The Barbie brand is very active on Twitter, updating its pages for the festive season and national holidays. In Spain, the Epiphany, which is on the 6th of January, is a very special day when children traditionally receive their presents. Throughout the 1960s, 70s, 80s and 90s, Mattel had relied on their Barbie doll to bring in a high percentage of their overall revenue for the Mattel business, it was their cash cow. But this started to change from 2000. Barbie started to face competition from other toys coming onto the market. Until 2001, there was no major “girl doll toy” competitor until Bratz appeared. By 2006, Bratz had the number 1 position in the US toy market. Barbie is just one personality and therefore it can be difficult to try and bring in more sales from the one product. However, Mattel have tried to diversify Barbie. In 2013, they launched the Digital Dress Doll. Barbie had a dress that could be customized which was made of a touch panel of 114 tri-color LEDs. Children could help design the dress by drawing different light designs on the front. This was released August 2013. Mattel also released in 2013, the Barbie Digital Makeover Mirror which transforms an iPad into an interactive mirror. The app uses the video camera of the iPad to help users apply “virtual” make up such as eye shadow, lipstick as well as accessories. Barbie was criticised for years about their doll’s unrealistic body proportions. The fact that Barbie was too skinny, her longs too long, her arms too thin, gave a bad message to girls. Many people were also negative about the fact Barbie promoted beauty not brains. 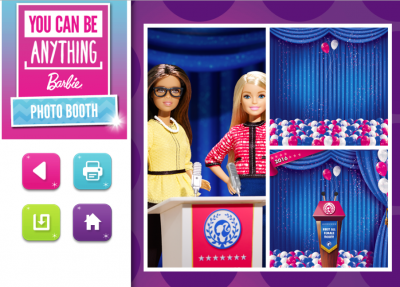 Mattel took this on board and as part of its marketing, it launched a new campaign – “You Can Be Anything”. In October 2015 Mattel made the advert for the “You Can Be Anything” campaign. This video has now been seen nearly 25 million times. In the video, girls are playing the roles they want to have when they grow up such as becoming a vet, a sports coach and a professor. There are hidden cameras which captures the girls’ roles while the adults play along. Mattel managed to change Barbie’s image from one where beauty and girliness was too stereotypical to one where girls want to play with their barbies who can be anything from a doctor barbie, a designer, to entrepreneur Barbie. This commercial was an important step within Mattel’s marketing strategy as it was different from other Barbie’s adverts. In the past they had ads only targeting young girls with the adverts lasting no longer than 15 seconds. In this commercial, they wanted to target millennial parents. 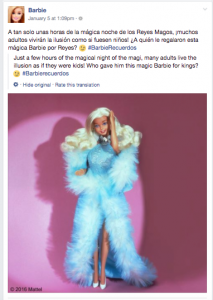 These Millennials are attracted to brands and products which have purpose and value and they did not see Barbie in this category. The Director of Global Brand Insights, Tania Missad, said that “Millennial Moms’ were having a crisis about whether they wanted their children to play with Barbie and these moms were more likely to question institutions and harbour anti-consumerist feelings.” The advertising was re-engineered with a mom-directed strategy and the video won awards for deftly positioning Barbie as a catalyst for young girls’ career aspirations. The launch of the Fashionista Line, which is a new range of Barbie dolls with different skin tones and hairstyles. The new Barbie Fashionistas line is a collection of 23 dolls that have 18 different eye colors, and one different hair color for each of the Fashionistas. The Barbies do not look the same, a break from the traditional blond barbie as there are 14 different facial sculpts. One of the most important aspects of the Fashionista is that there are now 4 body types for Barbie original, tall, petite, and curvy. The doll now represents “You Can Be Anything” and the company’s new campaign slogan is: “Imagination comes in all shapes and sizes. That’s why the world of Barbie is evolving”. They have changed their marketing message and are empowering girls to do anything they want when they grow up. Parents like the message and want to buy the toys for their children. Only time will tell what is on the horizon for Barbie. There was already the Barbie Dreamhouse complete with voice operated commands as well as changing light color display and Wifi. “Hello Barbie”, the first Wifi Talking doll was released in September 2015, but with mixed reviews. However, it seems as though the Fashionistas and the new restructured advertising strategy is working. According to Mattel’s own website, for Q3, sales in Barbie increased by 16% world wide so hopefully Barbie will be seen in the toy stores for many more years to come. Please note I do not work for Barbie, I have loved this brand since I received my first Barbie at 5 years old and wanted to grow my collection. As a 5 year old, I knew the difference between Sindy (the UK version of Barbie) and Barbie. 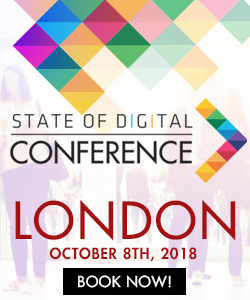 Many children from a young age are aware of brands and in the 21st century they have many more channels where they can express their choice of brand such as apps, website, games. Stop and step away from the migration! 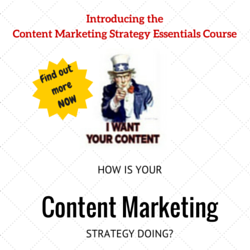 Viewability: why all the fuss and how should you be using it?